Concrete polishing is a modern trend that is widely used by most households and commercial enterprises all over the region. You could be wondering why the demand for concrete polishing has increased all over a sudden? Several things make concrete polishing an excellent choice for renovation projects, existing property, and new constructions. In this article, we will be sharing some information on why concrete polishing and maintenance is crucial for both commercial and residential properties. Everyone can try to visualize the appearance of concrete slabs; dull, grey, and dim. However, the modern technique of concrete polishing makes this technique to be a thing of the past. Most builders use concrete as the foundation of their new constructions, both commercial and residential. It is the leading flooring material that you will get in the United States. The use of concrete polishing for flooring is an exciting element of any building or home. The most important thing is to get highly skilled professionals like Palm Beach Concrete Underlayment Services to handle this responsibility on your behalf. Concrete is a cheaper and practical flooring solution, especially over hardwood, tile, linoleum, and carpet. Even though most people don’t take it to be a potential interior asset, that truth of the matter is that concrete polishing is making a great comeback. 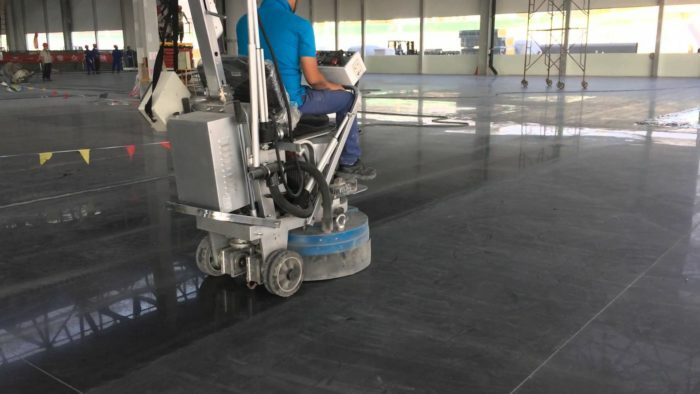 You could be asking yourself what concrete polishing looks like and why it is an excellent option for both commercial and residential flooring. The first benefit of concrete polishing is the element of durability. Concrete is a durable construction material, and this explains why it is diversely used among new foundation developments and constructions. Polished floors tend to have a smooth, shiny, and glossy appearance. The surfaces have a luxurious look yet they will cost you little to install, polish, and even treat. Concrete polishing does not require extensive upkeep, care, maintenance, refinishing, and replacement. These surfaces will also not expect you to use disinfectant chemical treatments and many more. You can also customize it with various gridlines, patterns, and designs. I have seen some people coloring them to resemble polished stone, tile, and marble. Therefore, concrete polishing has unlimited possibilities and can blend with the theme of any building. You can use concrete polishing for floors, countertops, and any other surfaces in your home or office. It works in any place that you want to have a highly attractive and durable finish. Concrete polishing is a new technique that allows homeowners and general contractors to produce beautiful and shiny flooring at an affordable cost. These experts accomplish the polished and glossy finish by initially grinding down the concrete surfaces to remove any unevenness and come up with a smooth finish. Concrete contractors use the polishing machine to achieve this objective. This process is quite similar to wood sanding. These machines are a remarkable unit of equipment that uses discs and blades that are made from shattered diamonds in grinding down the solid surfaces. The high-tech technique that is similar to sandpaper is what creates the smooth and flawless concrete polished finishes. The other new technology that is under experimentation apart from concrete polishing is acid-staining. This technique allows contractors to add more intricate colors and designs to the concrete floors. There may be no need for sanding before the polishing process if you are dealing with a recently installed concrete floor. However, you may have to wait for about 30 days before embarking on the work. However, if you are dealing with a concrete surface that has been in existence, you will need to undertake additional preparations like dusting, cleaning, de-greasing, and sanding. It does not matter whether the concrete surface is beneath carpeting or bare. If the concrete surface is uneven or highly porous, the contractors will have to resurface it before polishing. Some of the top benefits of concrete polishing include slip resistance, no waxing or coating required, DIY potential, store-bought materials, easy to clean, and dirty resistance and many more. However, you cannot get all these benefits unless you use a highly skilled contractor. Palm Beach Concrete Underlayment Services have remained to be the best option for anyone who is looking for a concrete polishing professional in the region. We use a highly skilled team, high quality products, and the best industry equipment to implement all projects. Call us today for your free quotation.